I'm pleased to announce the appointments of Linda Aldoory and Ralph Bauer to Associate Dean in the College of Arts and Humanities. Linda Aldoory, Professor of Communication, will serve as the Associate Dean for Research and Programming, effective July 1. She will work to support research and scholarly productivity of the college’s faculty and graduate students by enhancing opportunities for sponsored research, fellowships, partnerships and awards. She will lead the Arts and Humanities Center for Synergy and develop programming that promotes the distinctive mission of the college across the university, in the community and nationally. Working closely with students, faculty, staff, administrators, the Office of the Vice President for Research and external partners, Aldoory will develop a plan to illuminate the work of the arts and humanities, particularly scholarship of diverse, interdisciplinary and collaborative nature. Aldoory joined the faculty at UMD in 1999 as Assistant Professor in the Department of Communication. In 2005 she was promoted to Associate Professor and later, from 2011-2015, was appointed Associate Professor in the Department of Behavioral and Community Health where she served as Endowed Chair and Director of UMD’s Herschel S. Horowitz Center for Health Literacy. She returned to the Department of Communication in 2015, most recently serving as Associate Chair and Co-Director of Graduate Studies. Aldoory’s promotion to Professor is effective August 2017. She has served on numerous committees and advisory boards, including departmental faculty and teaching committees, Collegiate Council and UMD’s Future of Information Alliance Advisory Board. Her research explores the field of health communication, specifically public health campaigns and message design and their effects on underserved populations. She has published an edited book and has authored more than 40 articles, book chapters and encyclopedia entries. She has been awarded a commissioned paper by the National Academies of Science and has been the Principal Investigator or Co-Investigator on several extramural grants and contracts. Aldoory holds a bachelor’s degree in psychology from The George Washington University, a master’s degree in journalism from University of Texas at Austin and a doctoral degree in mass communication from Syracuse University. Ralph Bauer, Associate Professor of English, will serve as Associate Dean for Academic Affairs, effective August 15. He will oversee undergraduate and graduate curriculum, courses, programs and enrollments; graduate student recruitment, fellowships and advisory board; ARHU’s five living-learning programs and the Learning Outcomes Assessment (LOA) process. He will spearhead efforts to highlight the knowledge and skills acquired in arts and humanities based learning, and help develop pathways for majors who want to combine their learning with the sciences or other disciplines, in and outside of the college. Working closely with students, faculty, staff and administrators, particularly the Office of Undergraduate Studies and The Graduate School, Bauer will provide leadership and support that facilitates forward-looking, cutting-edge and diversity-infused education in the arts and humanities. Since his arrival at UMD in 1998, Bauer has served as Director of Graduate Studies and Director of Honors in the Department of English. He has also served on college and university committees, including the ARHU Committee on Programs, Courses and Curricula (PCC); the UMD Graduate Council Working Group for Teaching Assistant Training and Mentoring; and the 2017 Middle States Accreditation Review Committee. Bauer’s research explores the literatures and cultures of the Colonial Americas from a hemispheric perspective, with special focus on the history of science and Native American Studies. He is editor of the Early Americas Digital Archive and author of "The Cultural Geography of Colonial American Literatures: Empire, Travel, Modernity" (Cambridge University Press, 2003 and 2008); "Creole Subjects in the Colonial Americas: Empires, Texts, Identities" (University of North Carolina Press, 2009); and “The Alchemy of Conquest: Science, Religion, and the Secrets of the New World” (forthcoming, University of Virginia Press); among others. Bauer earned his bachelor’s degrees in English, German and Spanish from University of Erlangen (Nuremberg, Germany) and master’s and doctoral degrees in American Studies from Michigan State University. I welcome these new administrators to the Dean’s Office and invite you to offer them congratulations on their respective appointments. I also wish to thank the outgoing Associate Deans Sheri Parks and Alene Moyer for their excellent leadership and service over the past five years. I give special thanks to members of the search committee, chaired by Juan Uriagereka, Professor of Linguistics. "Arms akimbo, Wonder Woman stands with one well-greaved leg in the ancient world and one in ours. The imminent release of the first full-length, live-action Wonder Woman film is an occasion for classical reception work that joins dynamic efforts already underway on the classics and comics and the classics and modern fantasy. The decades of interpretive enthusiasm Wonder Woman has inspired, however, make it difficult to put a new spin on things. "So we stake our claim in the old: the story and history of Wonder Woman are suggestive of the ancient (yet enduring) habit of talking about influence, obedience, and persuasion through a gender-based idiom of power. Furthermore, the “persuasion dimension” of Wonder Woman continues to gain depth in popular and political culture, though it is not always recognized." Read their complete article at Eidolon. Image: Red-Figure Amphora depicting combat of Greeks against Amazons, attributed to the Suessula Painter (ca. 400 BCE). Via Eidolon. Please join us to workshop pre-circulated fellowship drafts and gain valuable feedback from your peers. Join us for an information session on some of the most relevant and prestigious fellowship opportunities. Join representatives of NEH and MH for a public talk and opportunity for 1:1 meetings with program officers. An ARHU-specific information session for anyone new to RASA/CAPAA or who would like to understand better the review process and criteria. Information Session for NEH Summer Stipend applicants. The Office of the Dean invites ARHU faculty to complete an "Intent to submit" notice for NEH Summer Stipends. 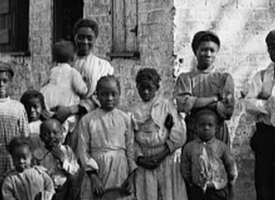 The records produced by the Freedmen's Bureau are the richest source of information on the African American experience post-Civil War. "When Bill O'Reilly insulted Rep. Maxine Water's hair and White House press secretary Sean Spicer told reporter April Ryan to "stop shaking your head," the comments by the two white men hit a nerve. "Black women — who often face a one-two punch of racism and sexism in their daily lives — immediately took to social media using the hashtag #BlackWomenAtWork to air out their grievances, including those about other women.
" 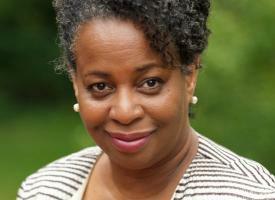 'The things that black women need to push for are quite different than what we think of as the mainstream feminist movement,' said Sheri Parks, a professor of American studies at the University of Maryland and author of Fierce Angels: The Strong Black Woman in American Life and Culture."